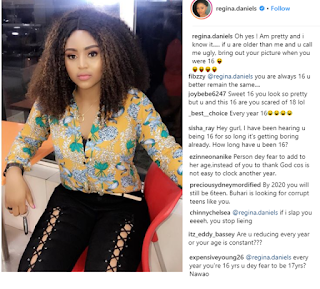 Some fans of Regina Daniels have blasted the Nollywood actress for claiming she is still 16 years old. 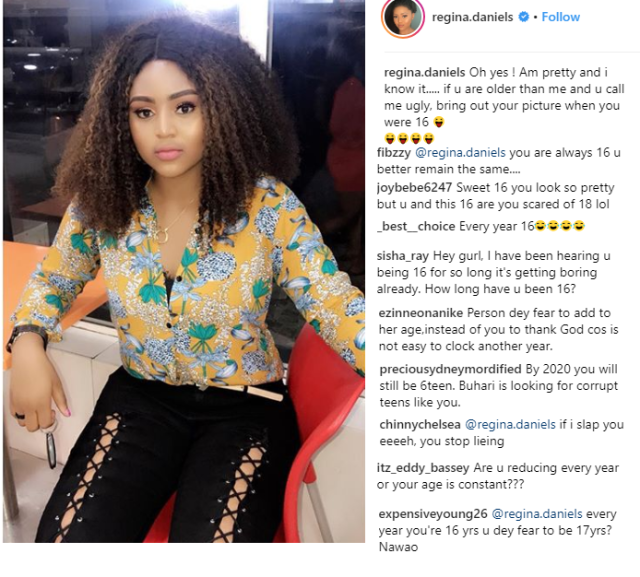 According to the teenage actress, 16 seems to be an everlasting age for her as for ‘years’ now, she’s been that particular age. 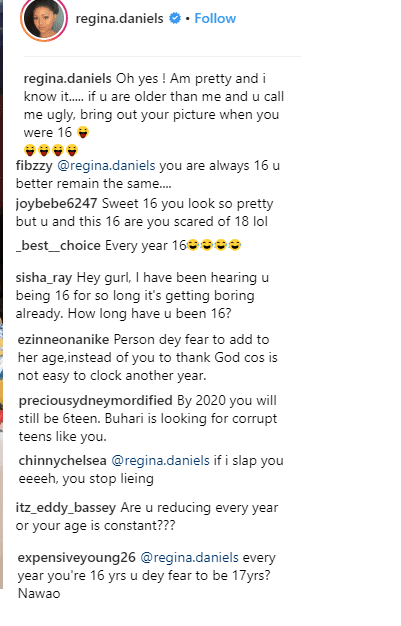 She didn’t say it was a throwback, all she said was that those who call her ugly should bring out their photos of when they were 16 and see if they were finer that her. However, most of her fans were astonished as to see that she still claims to be 16 – her official Wiki age says she’s 17 born in October 2000.